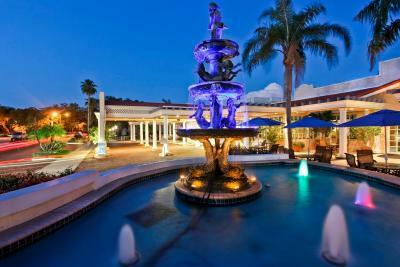 Lock in a great price for Safety Harbor Resort & Spa Trademark Collection by Wyndham – rated 8.2 by recent guests! This resort was perfect! 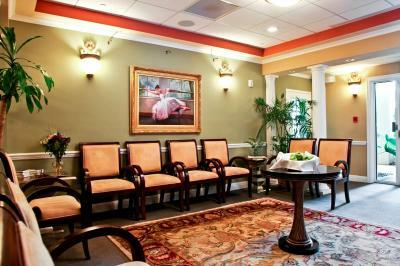 Great view, friendly staff, comfortable, and clean!!! I was on a short business trip but wanted to be on the water for my short bit of free time. Location was perfect and check in was easy. Nice paved trail for running along the water front as well as a pier. There are several shops and restaurants in walking distance. 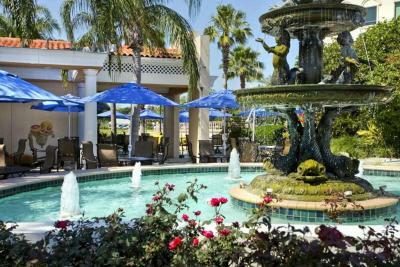 The pool and pool bar is a great place to relax and enjoy a beverage. I would stay here again. Everything!! We had a great time. The room was beautiful! staff was very helpful and friendly. Location was perfect. Lots of restaurants and shops within walking distance. What a great trip! The resort was beautiful and clean! The staff were all so nice and always smiling. We will definitely be back! Thanks for having us. We ate all meals off location. 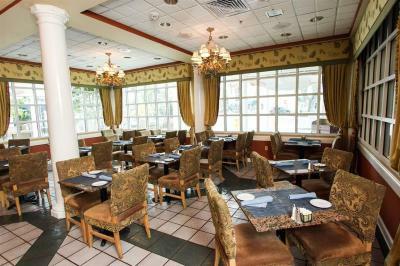 There are many good restaurants within a short walk down Main Street. There is a lovely pool that the grandkids enjoyed. There is a large park area between the buildings and the waterfront. This includes a paved walking path and very nice public dock. I enjoyed the use of the lap pool. I also enjoyed Philippe park. I was able to see the manatees on the pier. My Registration was not in the computer system.The room was not clean, in fact there was a pair of underwear by the bed that was only discovered upon retiring for the night. I was not provided Transportation to the venue I attended,although I was told there would be. 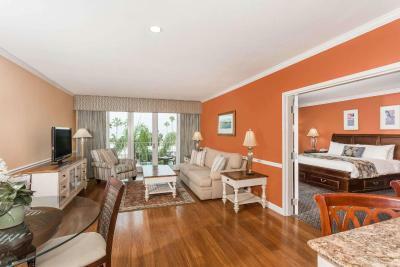 Safety Harbor Resort & Spa Trademark Collection by Wyndham This rating is a reflection of how the property compares to the industry standard when it comes to price, facilities and services available. It's based on a self-evaluation by the property. Use this rating to help choose your stay! 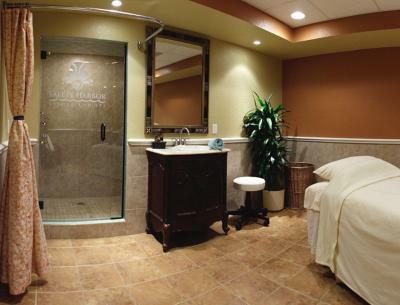 On a natural mineral spring, and only moments from Safety Harbor, Florida's beautiful beaches, this resort features first-class spa services, exceptional accommodations and is close to Tampa city center. 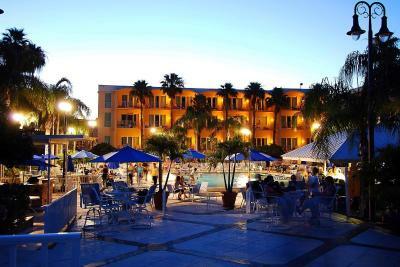 The Safety Harbor Resort provides guests with a variety of luxurious amenities and facilities. With 3 swimming pools, a spacious full-service spa and a state-of-the-art fitness center, every stay is sure to be enjoyable. 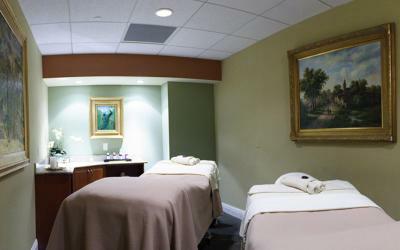 Guests can also stop by the front desk for special discounts on spa packages. 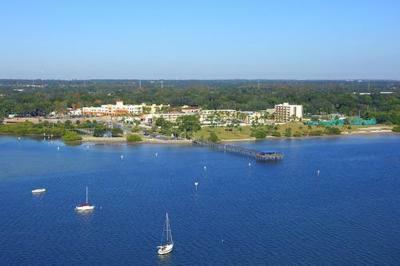 The area surrounding the Safety Harbor is filled with beautiful natural scenery, picturesque views and a variety of activities. Guests can find numerous water sports, entertainment and unique shops minutes from the hotel. 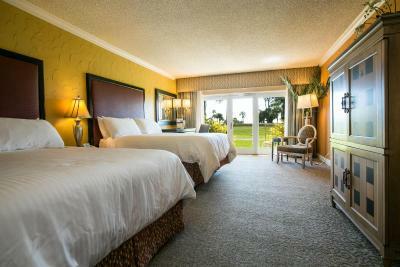 When would you like to stay at Safety Harbor Resort & Spa Trademark Collection by Wyndham? This quadruple room features a balcony, tea/coffee maker and air conditioning. This quadruple room features a cable TV, tea/coffee maker and patio. 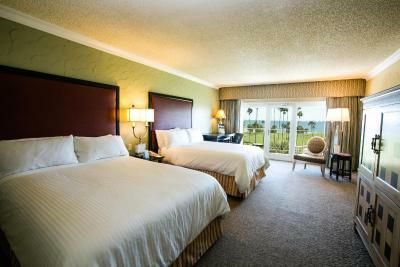 House Rules Safety Harbor Resort & Spa Trademark Collection by Wyndham takes special requests – add in the next step! 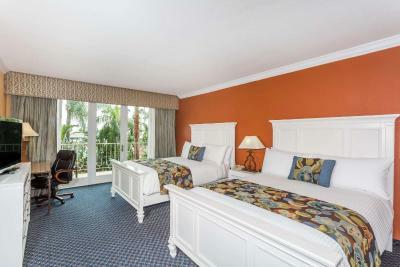 Safety Harbor Resort &amp; Spa Trademark Collection by Wyndham accepts these cards and reserves the right to temporarily hold an amount prior to arrival. 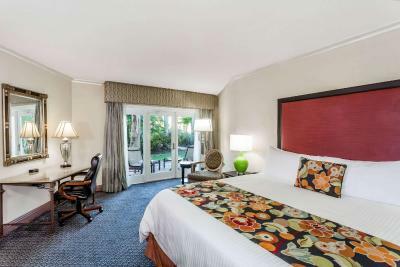 Safety Harbor Resort & Spa Trademark Collection by Wyndham accepts these cards and reserves the right to temporarily hold an amount prior to arrival. Not really a kid friendly resort, mostly seniors and spa couples. Didn’t feel like we could enjoy ourselves at the pool. We left and found a beach. That’s the beauty of Florida. Resort Needs some attention to detail, the Paint, carpet and decor is dated. But otherwise the property is a great deal for the money and definitely the location. Location. Location. Location. To food, biking, state parks and intercostal highways. Some of the staff need additional training. The pillows were flat. I was under the impression that it was beach accessible but it is protected wet lands. The boardwalk around the property near the water was very nice. Extra people that are their that are not hotel guests but day guests . Upon arrival from the outside the resort appeared okay. Once inside the room the odor was so strong I had to request a new room. In addition to the odor there were stains all over the carpet, everything is old and outdated, stains on the curtain and bedding, rips on the chair, the “balcony” furniture was torn and old. I attempted to use the phone in the room but it didn’t work, there’s was a note that stated the phones in the room do not work use your cell phone. Management changed our room. The new room was no better. Due to the time ,kids hungry and we just got off a flight.. my family was exhausted we unfortunately stayed.. The room was so gross we slept on top of the blankets and covered the pillows with towels. NEVER AGAIN. This is the worst “resort” ever. I will NEVER recommend or come back. The price paid for this room is not worth it. I have several photos of the room, stains and the “note” left regarding the phones in the rooms not working. The shopping area across the street. The long walk from the parking lot across the street through several long hallways to our room was something of a challenge for me and my gimpy hip. The Grandkids didn't mind at all. Carpeting needs to be replaced , elevators small and smell of diesel fuel, horrible first impression. There are little things that need improved- plaster marks on the walls that need painting,leaking water in the shower. Old rooms, slow (and only one) working elevator in tower, faucet handle fell off, plug ins loose, smoker above or below our patio, and no hot water to shower the am we left. Workout gym needs a new stationary bike too! Beds were comfortable and daily housekeeping was good.